The second shared task for Translation Inference Across Dictionaries (TIAD 2019) is aimed at exploring methods and techniques for automatically generating new bilingual (and multilingual) dictionaries from existing ones in the context of a coherent experiment framework that enables reliable validation of results and solid comparison of the processes used. This initiative also aims to enhance further research on the topic of inferring translations across languages. A workshop presenting the results of the shared task will be held in conjunction with the second conference on Language, Data and Knowledge (LDK 2019) in Leipzig, Germany, on May 20, 2019. (Register here). The objective of TIAD shared task is to explore and compare methods and techniques that infer translations indirectly between language pairs, based on other bilingual resources. Such techniques would help in auto-generating new bilingual and multilingual dictionaries based on existing ones. In particular, the participating systems will be asked to generate new translations automatically among three languages, English, French, Portuguese, based on known translations contained in the Apertium RDF graph. As these languages (EN, FR, PT) are not directly connected in this graph, no translations can be obtained directly among them there. Based on the available RDF data, the participants will apply their methodologies to derive translations, mediated by any other language in the graph, between the pairs EN/FR, FR/PT and PT/EN. Evaluation of the results will be carried out by the organisers against manually compiled pairs of K Dictionaries and other resources. Participants will submit a system description paper including a description of their system, the way data have been processed, the applied algorithms, the obtained results, as well as the conclusions and ideas for future improvements. The papers will be peer reviewed prior to publication to confirm all aspects are well covered. In addition, the workshop welcomes regular papers from those not participating in the shared task but having worked on the topic of translation inference and wanting to publish novel results or ideas, using different datasets and experimental basis from the ones proposed in TIAD shared task. Such papers will be peer reviewed on the basis of their scientific quality. Both types of papers should have 6-8 pages and be formatted according to LNCS guidelines and will be submitted through EasyChair. All the accepted papers will be presented at the workshop and published on CEUR-WS. McCrae J. P., Bond, F., Buitelaar, P., Cimiano, Ph., Declerck, Th., Gracia, J., Kernerman, I., Montiel Ponsoda, E., Ordan, N. and Piasecki, M. (Eds. ): Proceedings of the Workshop “Shared Task on Translation Inference Across Dictionaries”, co-located with the 1st Conference on Language, Data and Knowledge (LDK 2017). Galway, Ireland 2017. See http://ceur-ws.org/Vol-1899/. Saralegi, X., Manterola, I. and San Vicente, I. 2011. Analyzing Methods for Improving Precision of Pivot Based Bilingual Dictionaries. In Proceedings of the Conference on Empirical Methods in Natural Language Processing, 846–856. ACL. http://dl.acm.org/citation.cfm?id=2145526. Kaji, H., Tamamura, S. and Erdenebat, D. 2008. Automatic Construction of a Japanese-Chinese Dictionary via English. In LREC 2008 Proceedings: 699–706. 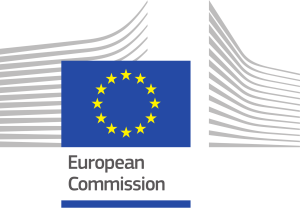 Lynx and Prêt-à-LLOD have received funding from the Horizon 2020 European Union (EU) Research and Innovation programme.